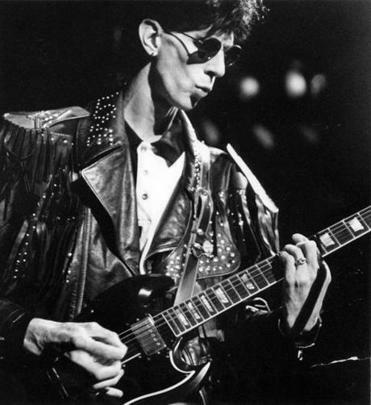 Ric Ocasek performing with the Cars at Boston Garden in 1987. Compiling an essential top-10 song list by the Cars is easy for some folks. They might quickly include most of the nine cuts from the band’s debut album, “The Cars,” which marked the Boston band as a New Wave force of the first degree. But here’s a larger overview, with pluckings from all six of their albums from the ’70s and ’80s (though the first two are the best). “Just What I Needed” (1978) This got it all going. The demo tape was played by WBCN in 1977 and electrified the whole city. The song appealed to classic rock and New Wave fans alike. And who could forget songwriter Ric Ocasek’s lyric, “I don’t mind you comin’ here and wasting all my time”? It was sung powerfully by bassist Ben Orr. “My Best Friend’s Girl” (1978) I remember the Cars played this at the WRKO Christmas show at Boston Garden in 1978, when the band shared a bill with John Belushi. The tune combines euphoric handclaps and organ runs from Greg Hawkes with a rockabilly guitar solo by Elliot Easton that echoed Buddy Holly. “Moving in Stereo” (1978) This experimental track was the longest on the Cars’ debut album and was featured in the film “Fast Times at Ridgemont High.” There was stereo panning of Orr’s voice and a bizarre lyric of “Life’s the same, you’re shaking like tremolo.” Cars diehards love this one, but it was not a hit single. 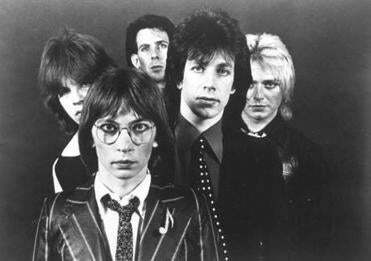 “Candy-O” (1979) The title track of the Cars’ second album, this is a harder-rocking tune about a needy woman who was “obnoxious,” Ocasek told Trouser Press. Sample lyric: “Peculiar star, that’s who you are/ Do you have to win?” Ouch. The Boston band’s crafty, quirky New Wave sound produced more than a dozen Top 40 hits and four straight Top 10 albums over the course of a decade. “Panorama” (1980) The title track of their third album, this soars on the backbeat of drummer David Robinson, keyed by pinball game blips by Hawkes and a disembodied vocal by Ocasek, who sings, “I just want to be in your panorama.” An odd but rocking love song. “Shake It Up” (1981) A fun tune with Ocasek spitting a manic vocal about good times. “I’m not claiming it’s a literary work,” Ocasek told the Globe. No, not with words like “Get real hot/ Shake it up with all you got.” The Cars were a brainy band, but this is an openly dumb song that hit No. 4 on the charts because of its dance pulse. “You Might Think” (1984) This synth-driven number was the first of five Top 40 hits from the Cars’ “Heartbeat City” album. And its video won video of the year at the first MTV Video Music Awards. Another irresistible dance-pop tune. “Drive” (1984) A ballad that is arguably the crowning achievement of co-vocalist Orr. “Who’s going to take you home tonight?” he sang achingly. The Cars closed their set at the Live Aid concert with this disarmingly beautiful tune.